It is very common for dogs to become reactive to or bark at anything such as the sound of a doorbell, arrival of visitors, and the sight of other dogs. According to the video, other dogs become reactive or show fear to stimuli such as a weird hat, a cane, a walker, a big jacket, and strange movement. If your dog exhibits this kind of behavior upon the sighting of strangers, this video can help you. There are training games that you can use to change your dog’s emotional response from fear or arousal to calm friendliness. This is achieved using counter-conditioning your dog to certain types of people that your dog can become reactive to. You need to condition your dog to the things that trigger their fear. Collect these items and have a friend or family member pull them out. You can click or treat your dog for looking at these items or feed him for touching the items. 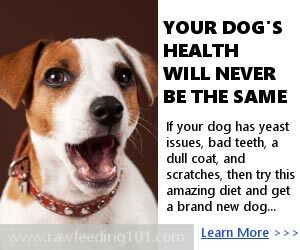 This will condition your dog to love these items. You can first do this exercise inside the house then outside. Let your dog observe as one of his favorite persons put on and take off the items. This will show your dog that the items will not change their favorite person. There is another way to condition your dog to the things that scare them. You can leave these scary items around the house for the dog to habituate and investigate. If your dog is fearful of a big jacket, wear it when you are around the house. You can also put on a different scary item before your put down your dog’s dinner bowl. The second part of the video involves conditioning your dog to see their favorite person wearing the items that scare them during a walk. Make sure that your dog can see their favorite person putting on and removing the scary items before they go behind a barrier. If this is not done, your dog can be very fearful when he sees this new item appearing around the corner. When the person first appears around the corner, feed your dog for looking at the person. This conditions your dog to stand calmly next to you when weird things happen. You can also allow your dog’s favorite person to have a conversation with him as the person approaches the animal so he finds it easier to recognize the person. You can also let that person interact with your dog by petting him or feeding him. The next step is conditioning your dog to see scary items on a person who is doing funny movements. This part should be done once your dog is succeeding greatly and being calm and happy with these items. This section steps up the criteria of the training by adding in strange movement along with the scary items. If you notice your dog being reactive to his favorite person wearing the scary items; just simply say ‘let’s go’ to the canine. You can also let your dog approach the objects and check them out on the ground to find out that they are not dangerous. Seek the help of an animal behaviorist before conducting this exercise with a very shy or reactive dog. If you fail to do this, your dog might bite the person with the scary objects. The last part of the video applies the exercise in different situations. One of the situations presented is letting a dog’s favorite person enter a house then allowing that person to put a strange item that scares the dog once he comes through the door. Then, the person leaves in the hat and re-enter the door with another object that is feared by the dog. Fearfulness towards strangers is not an uncommon behavior in dogs. There are several factors that cause this behavior including specific breed tendencies, lack of socialization, possible mistreatment, and individual tendencies. Dogs that are afraid of people tend to drive off all strangers with aggressive displays. This video discusses how to desensitize a dog to strangers. This video offers information on how to address this behavior. In the video, a ten-month-old dog named Zach is becoming more and more nervous around visitors. Zach becomes more fearful as more people try to become his friends. When the dog trainer calls the attention of Zach, the canine just ignores him. So the trainer decides to totally ignore Zach for a while the dog is wandering around at a distance. This strategy works with Zach walking over on his own accord to get near the trainer and collapses on his feet. Zach’s move shows that he is feeling relaxed with the trainer and that he is starting to mellow down. When Zach collapses down near the trainer and turns his back on him, it signals that the dog does not see the trainer as a threat. That is one point that you can use later on. The trainer offers tips that dog owners can use to help their visitors catch the attention of their dogs. He advises owners to give visitors some tasty treats which the latter will hold tight in their hands. The visitors need to wait for the dogs to approach them after the animals pick up the scent of the treats. According to the video, the dogs should not be pressured to come over to the visitors and to let their curiosity get the better of them. The secret to gaining the trust of dogs and to present yourself as not a threat is to turn your back on them. When your visitors do exactly that, your dog will attempt to catch their attention and that’s where the trust building starts. Your visitors can use their body language to show your dog that there is nothing to worry about. They can either avoid eye contact with your dog or turn away from your pet. In the wild when dogs meet, they threaten one another by staring directly at them. If the dogs feel no aggression, they just turn sideways. This is something that humans can replicate when faced with dogs afraid of people. When your dog starts to lick the hand of your visitors, that signals a new friendship formed between them. Walking with your dog is one way to bond with your pet. However, there are moments when your dog grabs the leash, turning the leisurely walk into a game of tug. This can be annoying and frustrating on your part. To solve this behavior problem, this video has simple tips to offer. Dogs bite on the leash for several reasons. When they are on a leash, dogs redirect their frustration or excitement on the lead. To be outdoors meant more exposure to various scents, movement, sound, and sight that stimulate your dog to lose control or act out. Since the leash limits your dog’s excitement, his energy is refocused onto the leash. The video discusses how to stop your dog from pulling, yanking, mouthing, and chewing the lead while walking outdoors. There is a simple way to correct this annoying behavior. According to the video, you need to gain the trust and respect of your dog before implementing and putting in place five golden rules. The trick focuses on how to establish little more respect on the walk. The dog owner puts a little chain through her collar, making the first and half of her leash into a chain. This technique lets the dog to change her behavior on her own free will. As shown in the video, the dog initially attempts to reach for the lead. Then she realizes that she can’t do it anymore. In that situation, the dog surmises that she cannot chew the leash after several jumps to get it. As quick as that, the dog changes her behavior. Once your dog is able to remain relaxed at the sight of the leash, you can walk with him with very loose lead. The chain used in the video is just a temporary tool. You can revert back to the old lead and test your dog if he will not do leash biting. Leash correction can be implemented easily if you will treat your dog with respect. This counter-conditioning technique is simple and does not take time, effort, and repetition.